Got my first kit. Its fair. For the price, well ah....no. Lots of work so far to put together. I am building a Zvesda 737 MAX at the same time. I have not seen an A 220-100 in real life yet. Is the A 220-100 almost the same size as the MAX? I bought the A220 also. But my SWISS decals are misprinted (The layers are displaced wich is visible at the windows). Do you share the same problem? I just saw in Berlin Tegel a A220-300 Baltic and was totally surprised of the very pointed, long nose. The size was surprising me as well, but it is definitely not as voluminous as an A319. Sorry, No B737 arround at that time. Are there any decals for A220 planned from our decal-makers out there? The A220 is surprisingly long at 114'9". Delta's B737-700 is only 110'4" by comparison, the B737-800 is 129'6". The Max 8 is about the same length as the 738. I was at the Delta roll-out of the 220 and was pretty impressed with the size of the airplane. Definitely not an RJ! Yes that thing is huge! And that is why I buy Authentic Airliners models!!!! 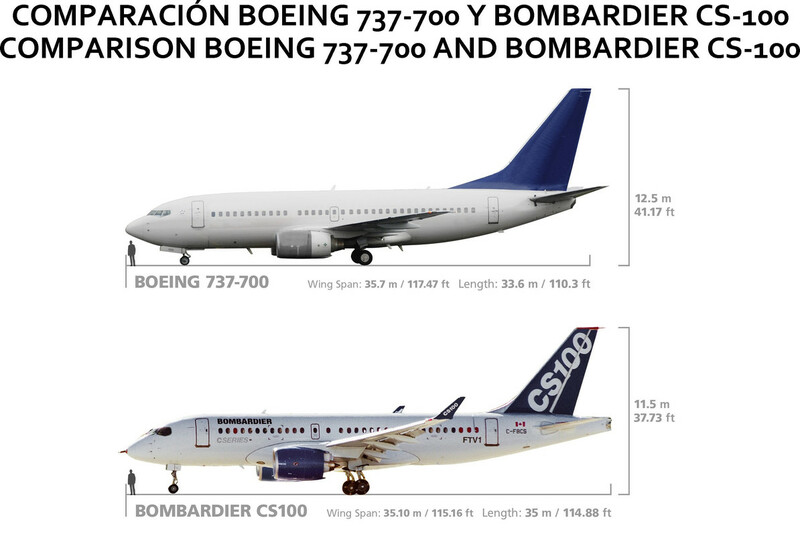 The wingspan is about the same as a 737NG/MAX or A320, and the lengths are 35 and 39 meters, so the 100 is a tad longer than the 737-700/A319, and the 300 is about the same as a 738. It seems like planes keep getting a bigger footprint for a given capacity. I had it in my thoughts that the A220 was shorter than the Boeing! Maybe its because of the larger window frames. of the Revell A319, wonder how more large will be the 300 version. Oh boy. Overall size is not really relevant. The Air Doo has five abreast seating, the 737 has six. Well, it is to some extent for airport planning. If you can't fit the same number of pax in a plane that's the same size, you get a net reduction in capacity. Also, Air Doo is clever, that one took me a second. What's also interesting to look at with that side-by-side comparison is how far back the 737's tail feathers are. It seems to be a pretty common Boeing thing before the 757, after which the tail cones stick back further.